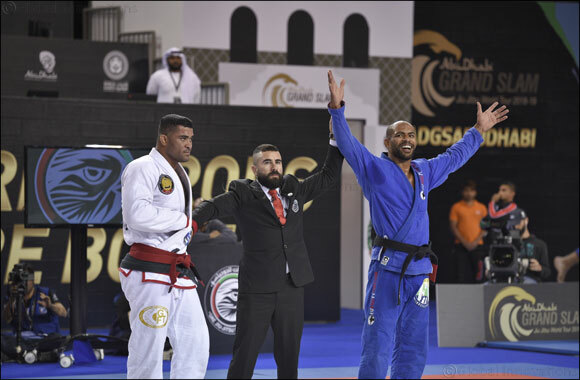 Dubai - UAE, 9th February, 2019: The UAE Jiu-Jitsu Federation® [UAEJJF], the official authority for the sport of Jiu-Jitsu in the United Arab Emirates, announces the fifth and final leg of the Abu Dhabi Grand Slam® Jiu-Jitsu World Tour season 4, to be hosted, at the Copper Box Arena in London, UK on 9th and 10th March 2019. After four successful events that exceeded expectations in Tokyo [Japan], Los Angeles [USA], Rio de Janeiro [Brazil] and Abu Dhabi [UAE], the Grand Slam promises an action packed two-day event in London to close the championship tour in style. The Abu Dhabi Grand Slam® registrations are now open, please visit https://events.uaejjf.org/en/event/122. All nationalities are welcome to register; the medalists of each division will earn points in the UAEJJF World Rankings and combined total cash prizes of $120,000. Top ranked competitors will receive huge prizes at the end of the season according to the UAEJJF World Ranking. “To bring the Abu Dhabi Grand Slam® brand to London once again for the final leg of the tour is really great, it is a special city which is showing improved signs of development in the sport of jiu-jitsu. It has been a great season for British black belt Samantha Cook, who won Gold in Tokyo in the 70kg division, beating Claudia Do Val. After the initial success in Japan, Samantha had strong performances in the next three events of the season, in Los Angeles, Rio de Janeiro and Abu Dhabi. Brazil's Thamara Silva stopped her in all of the three events. In Abu Dhabi, this past January, they fought one of the most thrilling matches of the season, with a back take in the final 15 seconds, Thamara was able to reverse the scoreboard from a 0-2 to a 4-2 and secure the gold medal, her third in the season. The Abu Dhabi Grand Slam London will be the final chance for Samantha to dethrone Thamara and earn back the top of the podium in the 70kg division.